Opened in 2008, New York's Peekskill Brewery has been steadily growing its operation. Located about an hour's drive north up the Hudson River from Manhattan, "PB" now sits in a larger facility on the Peekskill Bay. The move in buildings, in 2012, has afforded them the capability to brew 13 in-house beers, packaging three of them. The brewpub's upscale gastropub vibe has positioned its beers to carry a bit of a refined approach. 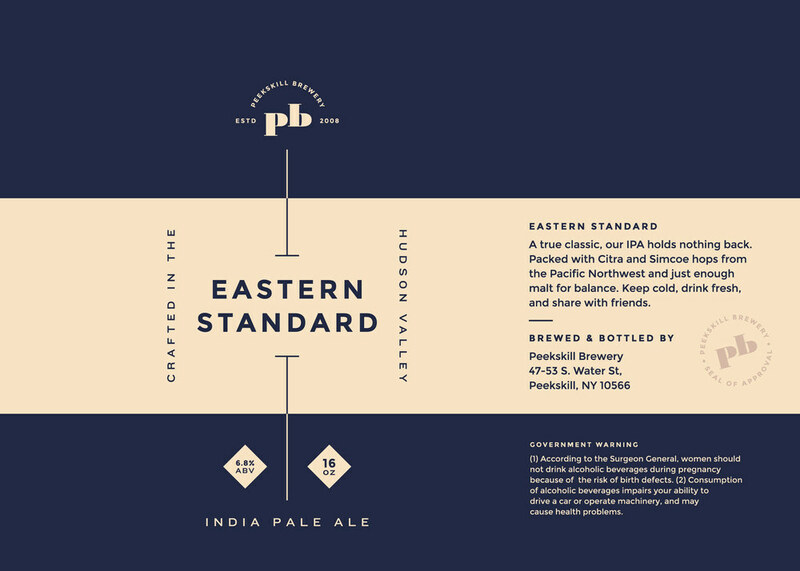 And with the four recently canned offerings–Eastern Standard, Higher Standard, NYPA and Amazeballs–their modern brewing perspective now has a place to live, visually. 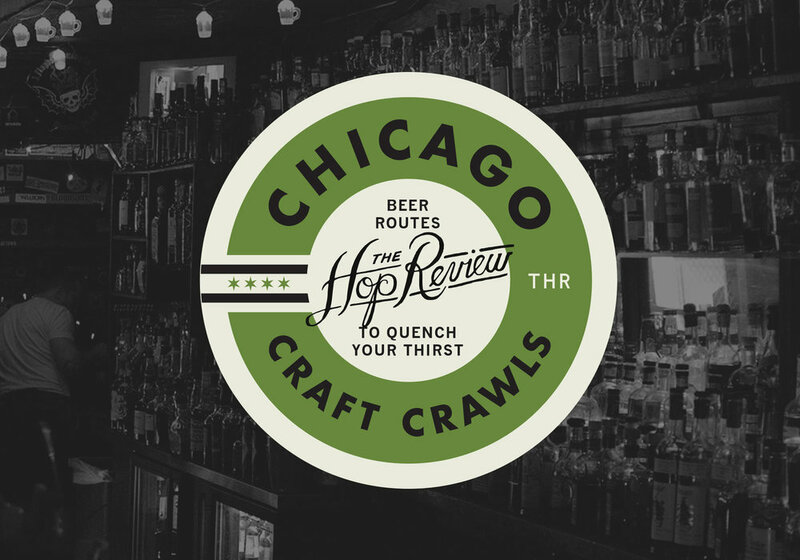 This new packaging lineup is credited to Chicago-based, OTHER Studio, who's aesthetic is also refined, but bold. We asked OTHER's founder and creative director, Eileen Tjan, how the studio approached the new designs for the New York brewery, and how flexibility within a packaging system is key. 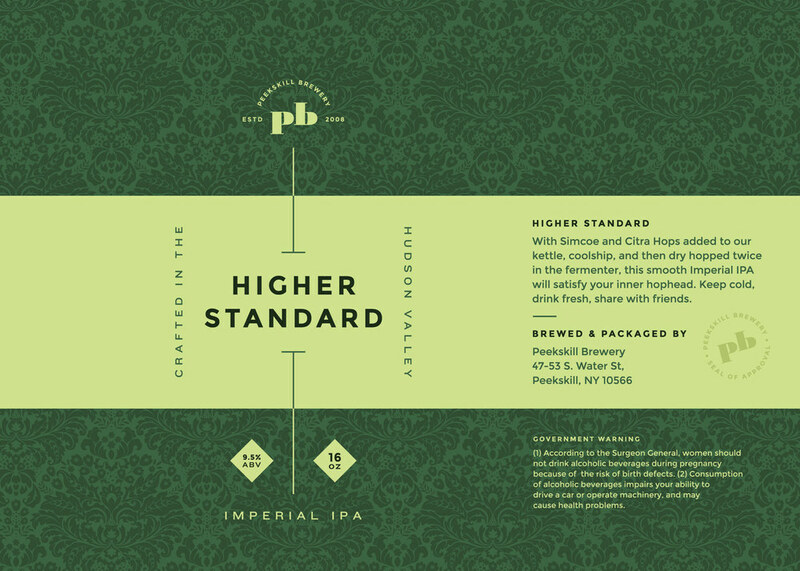 "We aimed to create a flexible label template for Peekskill that was both visually fresh yet still inline with their current branding. The line of beers that Peekskill develops embody different flavors, personalities, and characteristics. So, our label design needed to be able to encompass something as classic as the Eastern Standard and still be as playful as Amazeballs." The result is a slick, restrained, and modern look that would look as natural in a Mad-Men-era drinking environment as it would in today's. Well, maybe save for the more playful "Amazeballs" APA. Can't quite picture Don drinking that one. Design by Abe Zieleniec. 3D Renders by Chad Ashley. Photography provided by Peekskill Brewery. Older PostBehind the Scenes with Founders Brewing Co.